Waco drivers interested in buying a used Jeep Cherokee will want to check out the company’s certified pre-owned program. 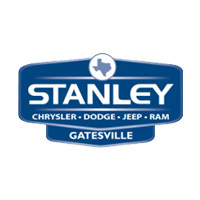 Stanley Chrysler Dodge Jeep Ram has brought the certified pre-owned Jeep program to Killeen and Temple. The Jeep Grand Cherokee is a small SUV packed with legendary off-roading capability while being comfortable and refined enough to drive to work everyday. Certified Pre-Owned vehicles offer drivers additional security as only vehicles in the best condition qualify for the certified pre-owned label. Additionally, dealers perform a multi-point inspection on all vehicles before they are certified pre-owned. Temple drivers can count on Stanley Chrysler Dodge Jeep Ram for a certified pre-owned Jeep Cherokee. Benefits of the certified pre-owned program include a 3-month or 3,000-mile bumper-to-bumper warranty that starts at the end of the factory bumper-to-bumper coverage. Also, Waco and Killeen drivers taking advantage of the certified pre-owned Jeep program will get a 2-year extension on the factory powertrain warranty giving warranty coverage for 7 years or 100,000 miles. Visit Stanley CDJR today to see our lineup of certified pre-owned Jeep Cherokees today!